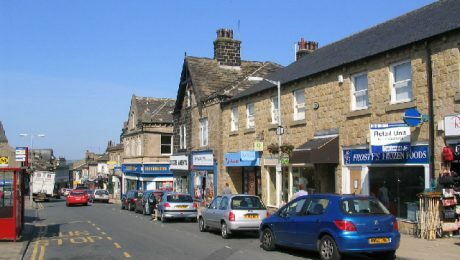 A Victorian spa town nestled within a designated Area of Outstanding Natural Beauty and often affectionately known as “the heart of Yorkshire”, North East Surveyor Martin Wilkinson was called upon to carry out a survey on a three storey detached apartment building in one of the most sought-after areas in Harrogate. 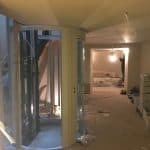 Martin was instructed to inspect the lower ground floor basement as the client wanted this to be converted into habitable accommodation as well as an extension. This would include a lounge with adjoining snooker room, a wine cellar, exercise studio, hallway and cloakroom. 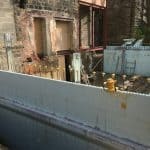 At the time of Timewise’s inspection, there were no obvious external defects, with exception to the staircase on the left-hand side causing slight penetrating dampness to the front left-hand room. 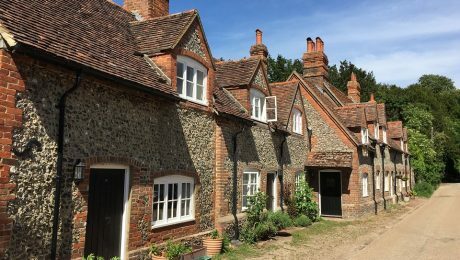 However, Timberwise were aware that this will be removed as will the single storey extension and garage during the refurbishment programme. 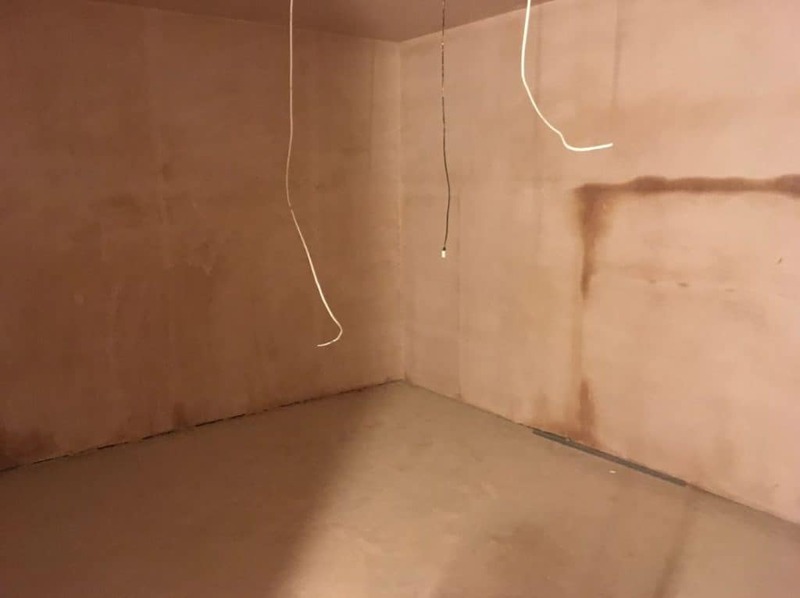 The client knew they could trust our Timberwise Basement Waterproofing Contractors to design, install and guarantee a solution that would not only meet all of their specific needs but also meet NHBC guidelines which included two forms of waterproofing in the form of an external barrier and an interior maintainable barrier. 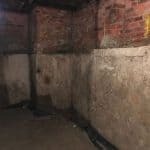 Defined within BS8102, are environment grades, listed from numbers I to III and in this instance, as the basement is designated to be habitable, it had to conform to a Grade III environment, whereby no dampness or water penetration is acceptable. 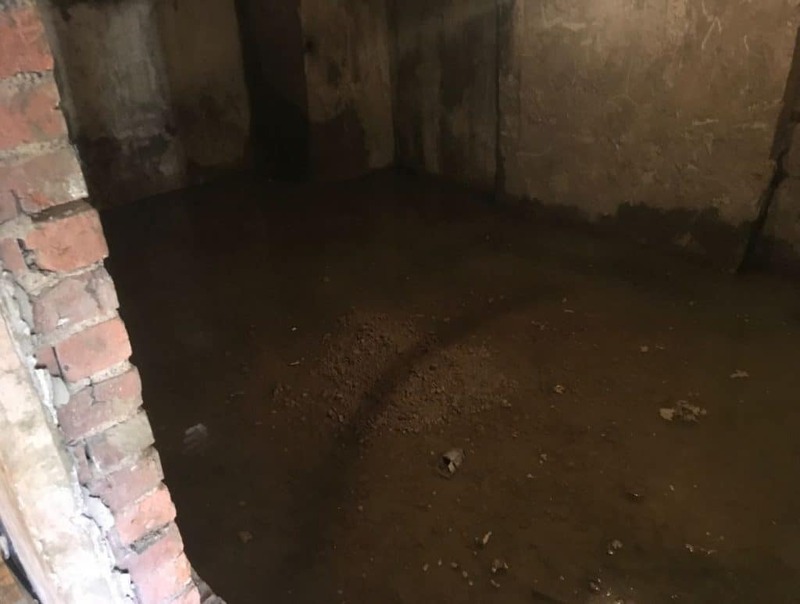 There was also evidence of some dampness to the rear right-hand room which backs onto the bathroom, and some minor decay to the floorboards, this was as a result of a leaking bath or shower. Famous crime novelist Agatha Christie disappeared from her Surrey home in 1926, causing a nationwide search which led to her being found in a hotel in the Old Swan Hotel in Harrogate. 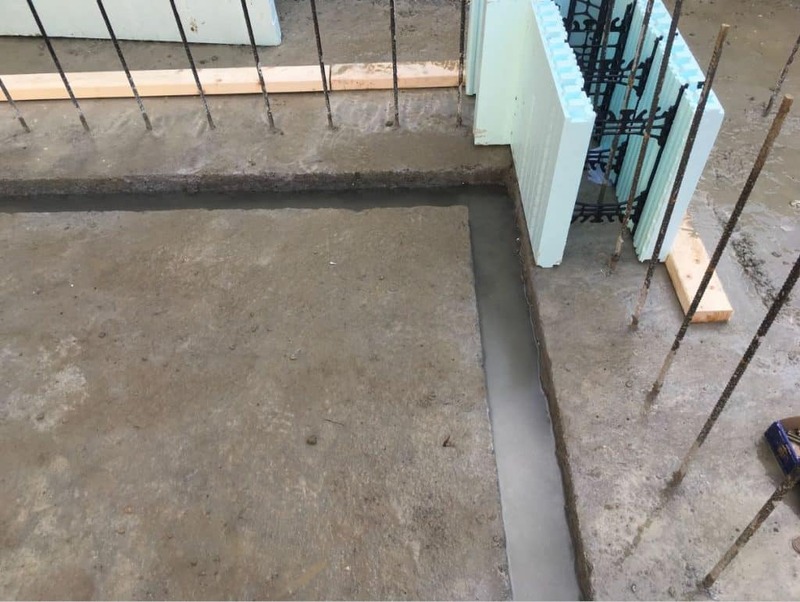 Prior to any waterproofing works, it was important to treat the concrete floor with a lime pre-treatment to ensure that there were no lime deposits that would track through and potentially block the free flow of water on the floor between the membrane and the slab prior to it entering the channels and sump chambers. 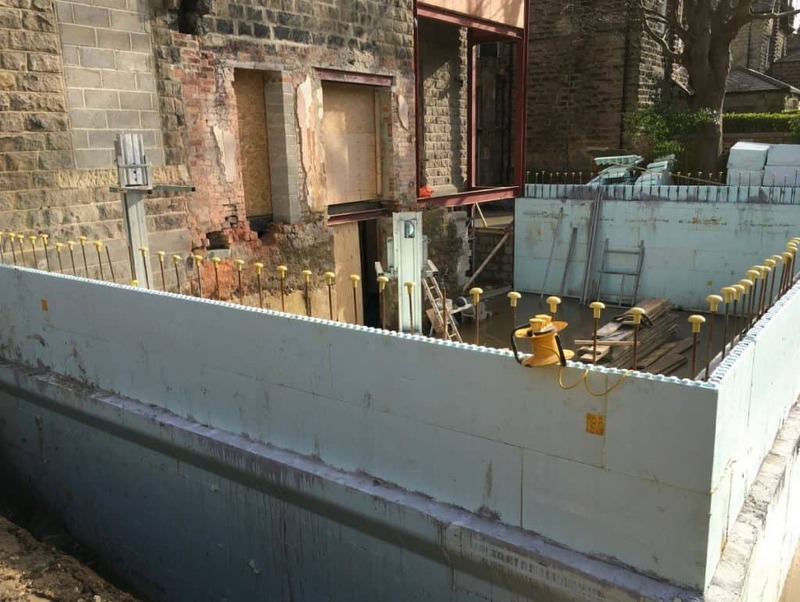 For the new build extension, a Type A system consisting of an external waterproofing barrier was specified to the outside face of the structure. This was combined with a Type C system applied to the entire internal surface of all of the rooms. 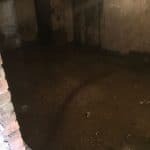 A Type C system involves the use of cavity drain membranes to internal walls and floors, which includes internal drainage channels and pumping stations as a means of exiting water from the basement. 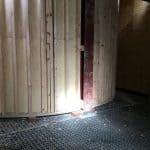 Cavity drain membrane was applied and fixed vertically and horizontally on the floors alongside a perimeter drainage channel, two separate sump chambers both incorporating two pumps and a battery back up giving the customer complete peace of the mind that the system will still work in the event of a power failure. 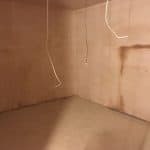 Before the cavity membrane was applied, all wall surfaces were made free from sharp protrusions and reasonably level. 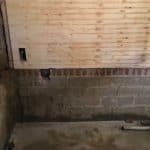 Any mould found present was treated with a fungicidal wall solution. 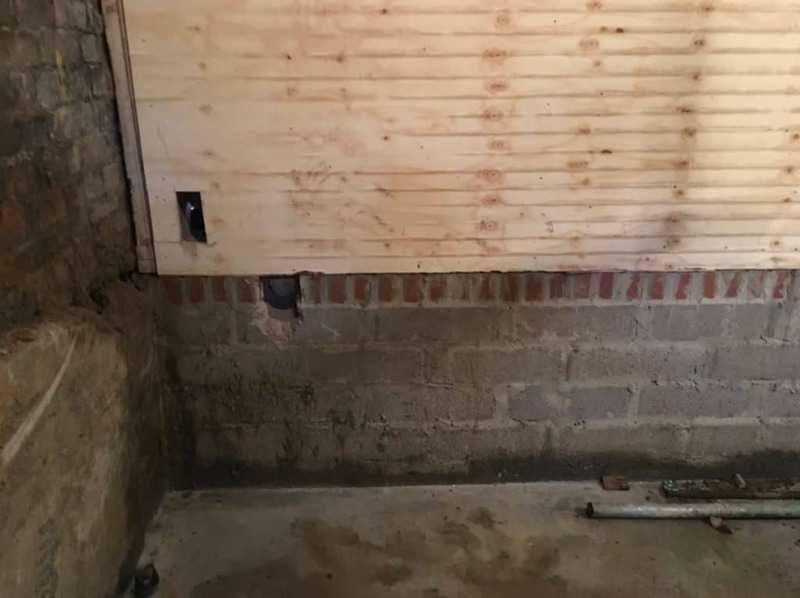 The membrane is fixed to the wall by drilling through the membrane studs to a depth of 70 mm using a 10 mm drill bit and gently hammering home the brick plugs. 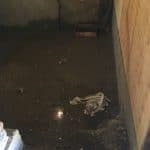 The perimeter drainage system intercepts water at the perimeter of the basement and drains it, unseen, safely away. Designed so that it separates it from the soil under your floor, it will never clog. 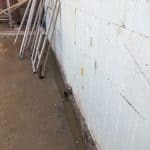 It also has a special wall flange that creates a neat space between the floor and the wall to drain any wall seepage, without allowing dirt and debris from the floor to enter. 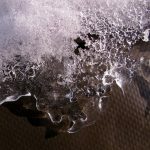 Water flows by natural water migration through the soil or by the sump pit flowing through drains. 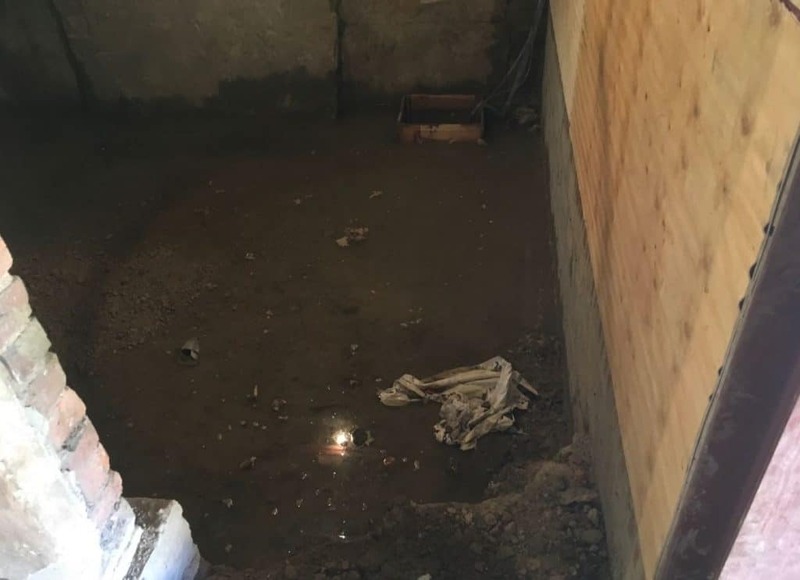 The sump pump’s job is to pump the water out of the pit and away from the building so the basement stays dry. 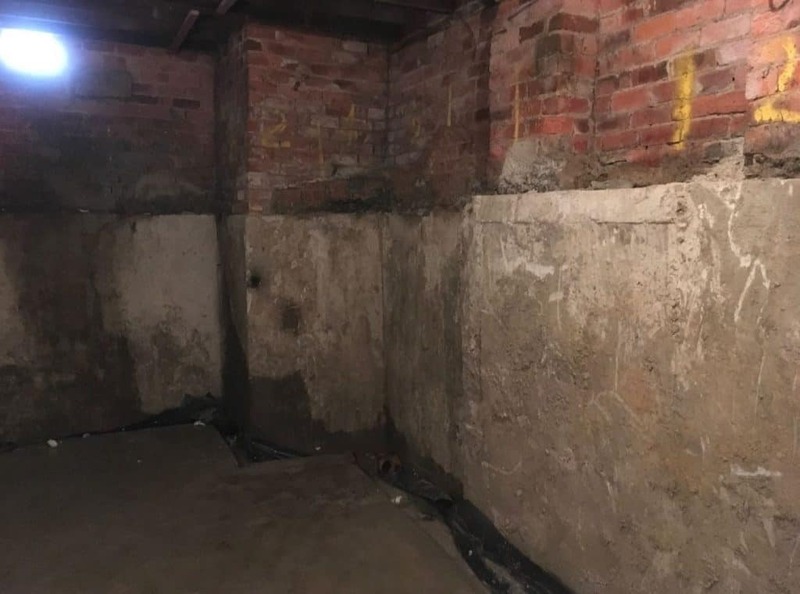 Timberwise worked closely with the finishing contractors to advise of the installation of fixtures and fittings, so as to ensure the waterproofing system maintained its effectiveness and integrity. 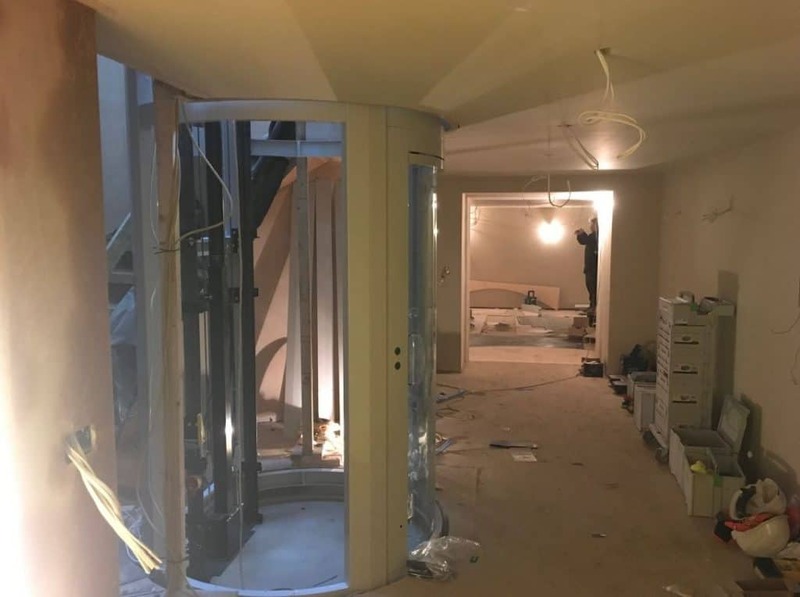 Following completion of the waterproofing works the entire basement was completely dry, clean and water free, and with the installation of a central spiral staircase made for a real feature within the property. 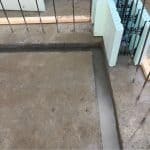 Timberwise waterproofing works are carried out to the highest of standards using the best products in the industry and it’s crucial to continual service the waterproofing system. 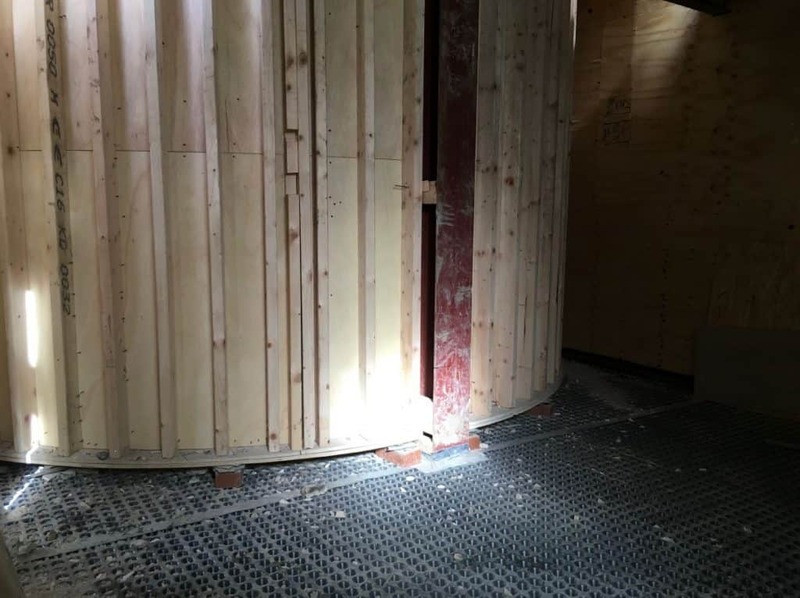 To give the customers confidence in their waterproofing system, Timberwise also included a complimentary post-installation assessment, clean and check. 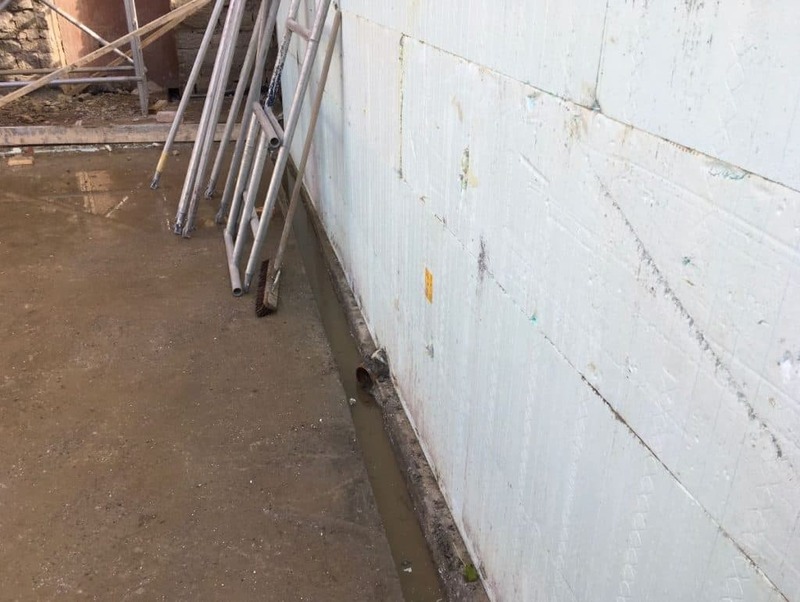 The pump and drainage system is at the heart of the waterproofing system and this assessment is essential to ensure the system is performing effectively and efficiently. 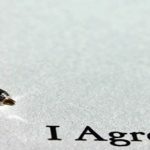 Timberwise is one of the few companies within the industry who proactively include this free post installation check. 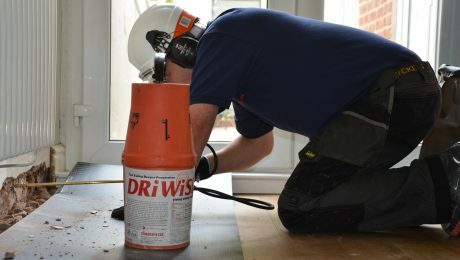 From experience, Timberwise knows that it is an essential part of the whole installation and on-going waterproofing process and they believe this is an important duty of care to customers to do this.